Tasting offered at the boutique. Includes Saturdays from March to December. 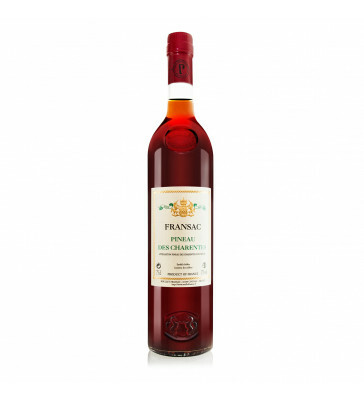 Controlled Origin Certification (Appellation d'origine controlée - AOC), FRANSAC Red Pineau des Charentes, 75cl. Black Merlot and Cabernet Sauvignon grapes, paired with a cognac eau-de-vie. Aging in 2 year old oak barrels. 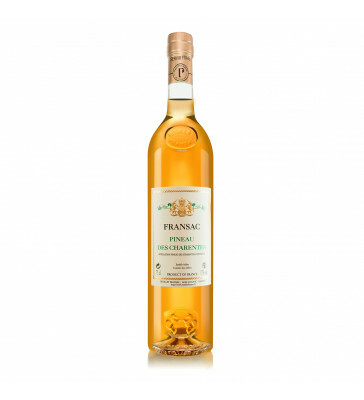 Excellent aperitif, Old FRANSAC White Pineau des Charentes, 75cl. Resulting from the exceptional marriage of our best grape varieties, most of which are montils, and cognac eau-de-vie from Petite Champagne vintage. Aging 5 years in oak barrels. Excellent aperitif, Old FRANSAC Pineau des Charentes , 75cl. Resulting from the exceptional marriage of our best grape varieties, most of which are montils, and cognac eau-de-vie from petite champagne. Aging 5 years in oak barrels. I order online every time the price / quality ratio of products is quite remarkable, I have been a customer for a few years, I have never been disappointed. An occasional discovery there are now 4 years of this house and I became a fan. Both service orders that are processed each time with speed, seriousness and a quality of packaging and delivery that transpires the love of this nectar. And when I say Nectar, yes it is: VS for the cool cocktails of summer at the age of 50 which ends wonderfully the evenings between friends connoisseurs passing by my favorites: the Ancestral Reserve and the 35 years old whose fruit, sweetness and length in the mouth reflect the expertise of the House, a hundred leagues above the "industrial" Cognacs. We ensure the delivery of your selection in the best possible conditions. Our site is secure for all credit card payments, with Sogecommerce and Paypal. Delayed delivery ? Damage on parcel ? Non-conformity of the order ? Feel free to contact us. If you need more information about our products or our delivery policy, do not hesitate to contact us. 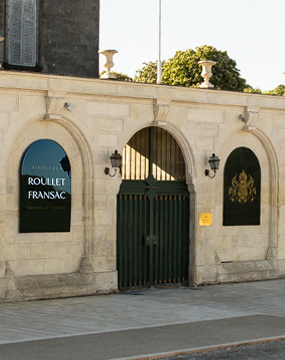 Maison Roullet-Fransac invites you to visit its shop on the banks of the Charente, Cognac, located at the gateway to the Old Cognac, a few steps from the Château de François 1er. And find all our products in our online shop.